We love watching the Olympics. We aren’t an athletic family or anything. We don’t compete in anything (unless you count the who can ignore the empty toilet paper roll the longest). We just love cheering for Olympians. Most American ones 😉 , but not only. So… as we enjoy some Olympic event watching this week, I’ve decided to put my Pinterest boards to use. Go figure. 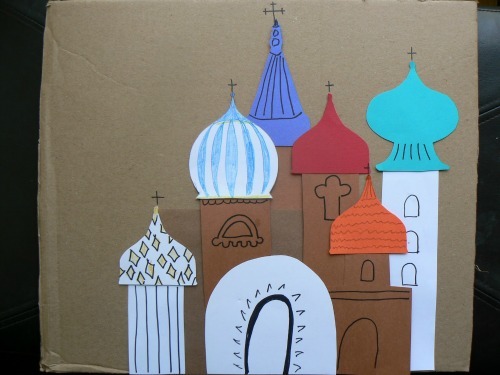 We are going to do a few crafts and activities to enhance our Olympic experience. All the way across the world from Sochi, Russia, here in New Mexico. Our focus will fluctuate between learning about Russia and learning about the Olympics in general. As it would happen, we have been studying ancient Greece, so we’ve talked about the origins of the Olympics. I’d love to know if you are doing anything and what it is. Please leave any and all suggestions in the comment section. Let’s share the fun. So, first off, last night we moved the world map to the living room (where our television is) so they could A) Find Sochi and B) locate each country as a Olympian competes. Olympic torch We will fill an ice cream cone with something orange (ice cream? sherbert? 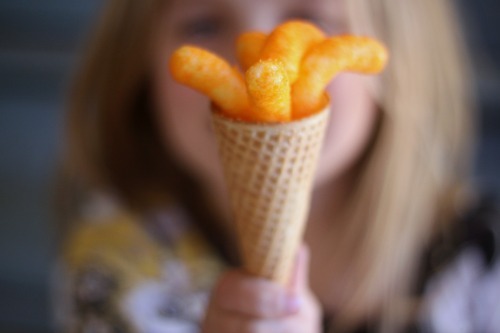 Cheetos?) and devour. Should be yummy. Clearly, we went with Cheetos Puffs. It was easiest. Ahem. 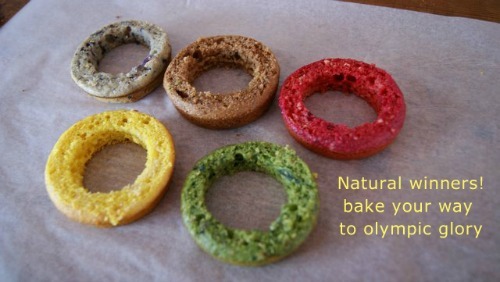 Olympic rings We will make breads and dye them naturally to then cut out rings. Yes, seriously. It will be a lot more work than sugar cookie rings (which make me break out in hives, anyway), but I’d like to have less sugar and more health. I’ll let you know how it goes. I plan to follow lots of the tips here (idea and photo credit to Local is Lovely! ), but will probably just make a basic banana bread and dye it. It’s near impossible to find fun food crafts that are all natural. Any suggestions? Country flags. Each kiddo will get to choose a country’s flag to color. Super easy. Olympic flags. We will use empty toilet paper rolls as stamps for making Olympic flags to display around the house. Again, super easy. Kadinsky art. Art, art history, Olympics, fun… two birds, one stone. Or four birds, whatever. 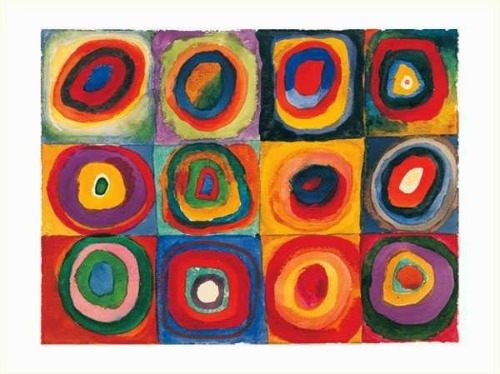 We will check out the art of Wassily Kadinsky and will attempt to duplicate some of his pieces. This will be difficult only if they really want their art to look like Kadinsky’s. I’m going for the experience, though. Ours turned out fabulous. I just love them. We made them as we watched the games one evening. And ate torches at the same time. Tchaikovsky I was gifted a night watching the Bolshoi Ballet my senior year in high school and I will never, ever forget it. Russia puts out some amazing ballet dancers. Tchiaikosvsky is the most famous. We’ll probably watch some random Bolshoi clips too. Speak Russian Probably with Texan accents, but that’s ok. It will be fun. We’ll focus on the good ones. Write in Russian We will write secret codes in Russian to each other. Should be hilarious. 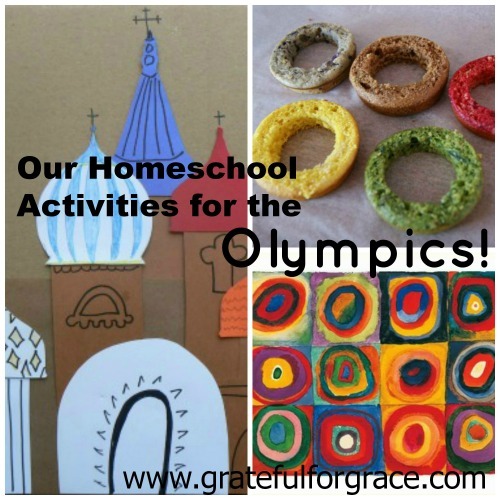 Olympic Printables I will have a few of these for the kids to use as they wish. 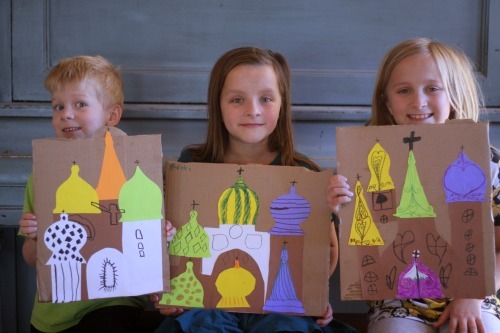 The younger kids love to color, so they’ll love these. I think I will also have each child summarize what they learned about the Olympics at the end of the two weeks. Eat Russian I couldn’t find a Russian restaurant in Albuquerque. Imagine that. So, we will use our beloved Sonlight Cooks cookbook to make something. I will let the kiddos choose. How Some of the Sports Work We’ll watch a few videos on the science behind some Olympic sports, starting with one on bobsledding (we may sing the Jamaican bobsled song too!). Others: the science of ice, slope skiing, and engineering the half pipe. 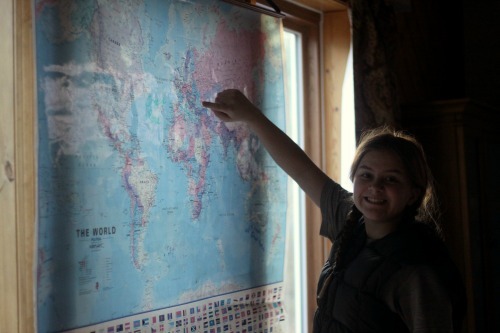 Find Sochi Yes, I’m going to actually make them find Sochi on the map. Crazy talk, I tell ya’. Then we’ll Mapquest it to see how far away we are. Alrighty…. yes, that’s a lot but some of these are super quick though so a lot of bang for my buck, ya’ know? Plus… really, every two years we get the chance to have our kiddos see many different people of all nationalities right before their eyes. It’s a terrific opportunity. I plan to do one activity a day for these two weeks. We’ll see how that actually goes. I always choose crafts that require common items, so I think we’ll do ok. Regardless, the kids will learn something and have fun. Even if you don’t want to do all or most of these, why not pick just a few? Which idea seems like something you’d like to do? Have any to suggest? Big nod to Interaction Imagination for almost all of these ideas!